This is a problem you don't face everyday. I'm in the midst of a short paper on the University of Mississippi's trial of its Chancellor (incidentally F.A.P. Barnard, the namesake of Columbia University's Barnard College) for taking testimony of a slave against a student. Really fascinating stuff, because we usually think about trials as about truth, but there was great concern about taking the testimony of enslaved people against whites. There's a lot that needs to be said about this topic. Right now, though, I'm interested in knowing about the key cases from southern courts. So I have the question: should I use T.R.R. Cobb's treatise on slave law? Cobb was a pretty important person in the old South: he edited the Georgia Code, taught for a while at the University of Georgia, and published a comprehensive treatise on slave law. (He occupies a key place in my current book project, University, Court, and Slave.) Now, I've used the treatise a bunch as evidence of thought at the time. But now I have a different purpose in mind: to use it as a source of cases. 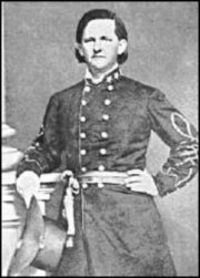 There is something that I find more than a little disturbing about "communicating" with General Cobb (he died fighting at Fredericksburg) in this way. For this is not just reading his work to understand his mind, but reading his work to learn about what the law actually was. I guess that's how the progress of knowledge works, though--we use the literature of those before us. I don't see the problem necessarily - the question of whether his scholarship ("scholarship" meaning his ability to collect and accurately describe case law) is independent of his pro-slavery stance, unless you have articulable reason to believe otherwise. You seem worried that his pro-slavery stance will color the cases he has selected and the commentary he gives (necessarily in a pro-slavery direction), but that is a determination you can make only after you read the treatise and develop at least some familiarity with the case law of that time, independent of what Cobb thought about it. This might take time, but if you want to use the treatise to support your arguments, you should probably put in that time. The most time-efficient way to do it would probably be to cite and disclose - cite the treatise and explain in your first citing footnote what you have explained here and your reasons for skepticism. If you can't write a compelling footnote rationally explaining your skepticism, you probably shouldn't have any. Al, do you see this as an analogue to the ethical debate over the use of human research done on Jews by the Nazi regime? The ethics of that practice appears, at least facially, more problematic because the data set was created through immoral practice. But the data set for the pro-slavery legal scholar was not created by the researcher himself. Thus, the only potential problem seems to be the act of relying on a person with particular unethical views for his skills in analyzing and describing a dataset. But perhaps this raises a more fundamental problem. To the degree that any encyclopdia or hornbook reflects the mix of existing data with the authors viewpoint, is the content of such materials inevitably one you must study for both what it says about both the law and the author? And if so, is use of this work really only a slight extension of what you've already felt comfortable doing? I can't fathom what the problem is. I mean, it's *slave* law. Obviously it'll have morally odious presuppositions. How can you learn an area of law with morally odious presuppositions without ever using sources that share those presuppositions? The cases themselves are just as tainted as the treatise, but you've got to read those, right? Given the purpose of your own scholarship, you're turning the original intent behind these sources on their head, in a small way vindicating the memory of those undoubtedly and indescribably harmed by their initial publication.